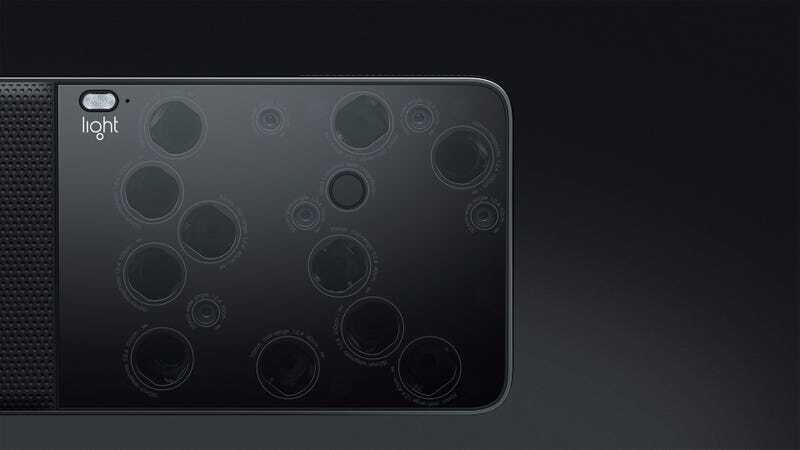 You may have seen some buzz going around about a new camera called the L16 by a company called Light. While the photography buffs have their doubts about whether this thing could ever replace the DSLR or mirrorless camera, I think it could be revolutionary for those of us on a bike. The name L16 doesn’t exactly roll of the tongue, but it does accurately name this camera because the face of it contains 16 little lenses. Amongst those are five 35 mm, five 70 mm, and six 150 mm lenses. The camera shoots with up to ten of them at once, and then uses some fancy black magic algorithm to stitch them together into one 52 megapixel image. The back of the camera houses a five inch touch screen, where you adjust camera settings, and zooming and focusing functions. Like the Lytro Illum, you can adjust the focal length after you’ve taken a shot, thanks to all of the data collected by all those lenses. It also shoots 4k video, has 128 GB of onboard storage, has GPS and an accelerometer, has a two-tone flash, and outputs images in JPEG, TIFF, and raw DNG file formats. As advanced as our phones have become, they still fall short for many of us who want to shoot really nice pictures. Especially those of us who write for the internet and are tasked with creating beautiful images for your screens and social media networks big and small. My current setup is a Sony Nex-6 and a handful of lenses, but even that thing is a bit much to toss in my jacket while I’m riding an R1 around Los Angeles. The same goes for the travelers and adventurers of the world, who’s fancy camera packs are targets for thieves abroad or just extra weight to pack up the trail. Something like this, assuming the algorithms can do their job well, could produce images perfect for all of your kinja/facebook/instagram needs while looking as unassuming as an iPhone with back made out of lenses can. The L16 can be pre-ordered now for $1,300, and will retail for $1,700 when it’s released next summer. This is a ton of cash for something that shoots the same pictures as your iPhone but, if it can deliver as promised, is a steal compared to my relatively cheap mirrorless camera. The rest of the specs haven’t been released so stay tuned closer to the L16’s release date for those and real reviews. The real challenge now will be how to keep your thumb out of the shot and getting people in group shots to all look at the same lens. Also, don’t drop the thing. Because I can’t imagine fixing 16 lenses is somehow cheaper than just buying a new one.